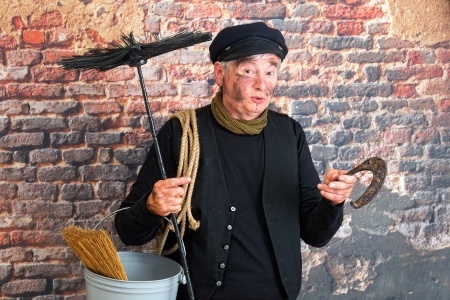 Chimney sweep brushes play in important role in fire safety and chimney maintenance. 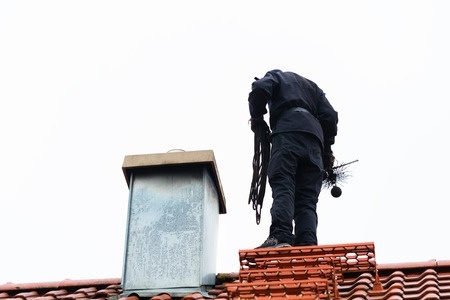 If you're considering cleaning your chimney yourself, as opposed to hiring a professional chimney sweep, it's important to have the correct brush to ensure a proper and thorough cleaning. Here's the confusing part though. With such a vast selection of brushes available in various sizes, shapes, materials and styles, there's really no “one size fits all” option. In fact, solving a Rubik’s Cube puzzle can often seem easier than figuring out what brush you need to properly clean your own chimney. Fortunately, figuring out the correct brush size, material and how the brush functions is actually easier than you think. To simplify things, let's look at the different types of brushes available to determine the correct style for your chimney. All chimneys and fireplaces require at least one annual inspection and cleaning and possibly more depending on the frequency of use. 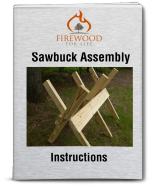 Neglecting this procedure can lead to a house fire and nobody wants to be standing out in the freezing weather watching your house burn down due to ignoring this important task. Using a wood-burning fireplace or stove leads to a buildup in creosote and soot debris, which needs to be removed for everything to operate efficiently and safely. This is where brushes have their shining moment of importance...they remove all the buildup so your unit functions properly and without the worry of things catching on fire. The type of brush required depends on the type of chimney and flue you have. 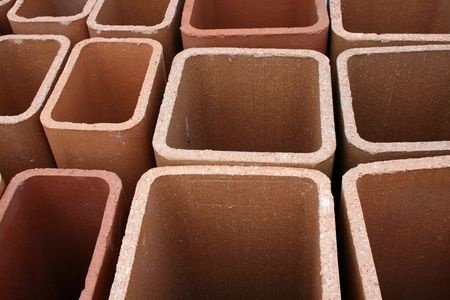 Basic chimney materials are either masonry with clay flue tiles or pre-fabricated and metal. Chimneys made of masonry experience more creosote buildup than those made out of metal or prefabricated styles and require a different brush to accomplish a proper cleaning job. This is the first detail to take into consideration when selecting appropriate chimney sweet brushes that do the job and won’t damage your chimney. After determining the type of material of your chimney, the next step is to measure your chimney so you know the correct size of chimney sweep brush required. The measuring process isn’t complicated, but be sure to consider safety as you will have to climb up on your roof to access the chimney. To error on the side of safety, it might be a good idea to have an extra person on hand while you do the measuring. Note the chimney’s shape, as some can be round, square, oval and rectangle. This allows you to know what shape of chimney sweep brush is required to clean the area properly. Use a tape measurer and measure the chimney’s length, width and inside dimensions. Having these dimensions not only assist in selecting an appropriate sized brush, but it also lets you know what size rod attachment you need to reach all areas of the chimney for proper cleaning. Since brushes are available in so many different shapes, sizes and materials, after getting your measurements and noting the chimney’s material, it should now be relatively easy to select the correct brush. Selecting a brush bigger than your chimney can become lodged inside and be difficult to remove. Selecting a brush smaller than your chimney won’t do a proper cleaning job because it can’t reach all the areas. Metal or prefabricated chimneys require brushes made out of polypropylene because they still get the cleaning job done, but won’t damage the metal lining. Wire bristle brushes are most commonly used and are suitable for use on masonry chimneys. Most common types of chimney sweep brushes used to clean creosote and soot debris. These types of wire brushes come in homeowner and professional versions, with the professional types having more bristles, which make the cleaning job a bit easier and quicker. This style of brush is for masonry chimneys and can damage metal or prefabricated types. These types of chimney sweep brushes are stiffer than regular wire brushes with flat tines. They are great for heavy-duty jobs where the stiff flat tines have better scraping action to remove glazed creosote. This style of brush is for masonry chimneys and can damage metal or prefabricated types. These types of chimney sweep brushes are suitable when used on metal or prefabricated chimneys that do not have a large amount of creosote buildup. The stiff brush won’t get around the bends of the chimney. Therefore, they won’t do a thorough job if the area requires a heavy cleaning. When your metal or prefabricated chimney has a heavy buildup of creosote, this is the style of brush best suited for removal of the debris. They are more flexible, easier to use and will get into the bends of the chimney. Whatever type of fuel-burning system you have, proper maintenance and cleaning is important. Doing the research to get the right brush guarantees your system is safe, functions efficiently and will keep you warm through the cold nights of winter for years to come.